Are you starting an online project and are you choosing which name to use? First then you need to perform a domain check to check that it is free. Below I’ll explain how to do it effectively. Imagine that you have just created a new product or have just decided, together with your collaborators, the name of the new company you are about to found or the start-up you’re about to launch. You have done the market analysis, you have developed the marketing strategy and now it is up to the construction of the site. You need, therefore, a domain name, and, even before, a tool to check if the domain is free and available. If the branding / naming operation was carried out in an amateur way and without consulting the web, you could in fact have chosen an already occupied domain, and therefore find yourself without the possibility of launching your new project online. It is therefore necessary to perform a domain verification to check that the chosen domain is available. Controlling the presence of free domains is also very important for those who deal with affiliate marketing and want to appropriate EMD, Exact Match Domain, or domains that present the keyword within them. But let’s go straight to the practical part and see how to check that the domains are free. On the Web there are several tools and sites that work for us and allow us to instantly check for free domains. Let’s see some, at least the most famous and effective ones. 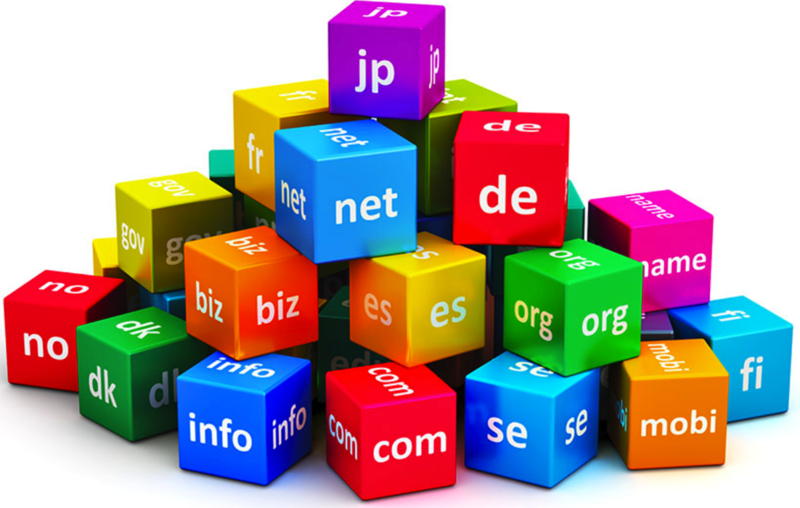 These tools are usually made available by companies that deal with the registration and sale of domains aimed at purchasing servers and hosting plans, which must provide the customer with the possibility of verifying that his chosen domain name is available and therefore, usable, so that you can make the purchase and registration. To verify a domain it is obviously necessary to insert the TLD that we are interested in using. It could indeed turn out that example.com is busy but that example.info is free instead. It will be up to you to choose whether a different TLD is fine, based on the project you manage. Serverplan offers everyone a Whois service that allows, with a simple click, to search for free domains and verify that they are available. The tool simply works by writing the domain name with the appropriate TLD and clicking the Whois button! No super advanced features, but a quick and easy way to verify a domain. Serverplan is also the hosting that we have chosen for Geek County and that offers the best Hosting plans, economic and of great quality, which boast spectacular assistance! If you are looking for a lightning-fast and child-proof tool, DrWhois is the right tool for you, able to check the availability of a domain in a really quick and simple way. Its use is particularly recommended because it allows you to check multiple domains simultaneously. Let’s see in brief how it works. Using DrWhois is really trivial. Just search or type the address of the site, open it, insert the domain name in the appropriate space in the center of the page, select the extension or extensions you are interested in and click on “check availability”, the button green place under the form. The strength of this tool is that it allows you to enter more than one domain at a time, so as to check the availability of different choices simultaneously. Following the click we will have an answer within a few moments. A report will appear indicating with a green check the selected free domains, while with a red cross those already occupied or blocked. At this point the program provides us with another really useful option, which allows us to discover all the details related to the name occupied. Just click on “see in detail” and you will be taken to a screen where all the data of the reference domain will appear , such as the name of the owner, the date of creation and expiry, the status and so on. The operation of the tool is trivial and identical to all the others. Just enter the domain in question in the search field and click on “Search” to start the control phase of the entered domain. In this way GoDaddy returns a series of fundamental information, such as the availability of the domain, the ownership and all the details on creation and expiration and the nameservers. DomainsBot is probably one of the most complete and functional tools available to check the availability of a domain. The strength of this service is that it offers, in addition to the domain availability check, also a list of alternative domain names, based on the search parameters entered. After going to DomainsBot, checking the availability of a domain will be child’s play. Just type in the search area the name to be checked and the tool will automatically tell you if it is busy or not. Clicking on the magnifying glass will start the search, which will lead you to obtain dozens and dozens of different results. The chosen domain will be verified in all possible extensions and even in some of its variations. Through the button “Edit results” it is in fact possible to select the language, the TLDs and other files, which allow us to find similar domains that are right for us. I do not recommend this tool as far as the Italian language is concerned, but if you have to launch an e-commerce or a site that can also be used abroad, this tool is essential. What to do if the domain is busy? Contact a naming and branding expert who is able to give the right name to your reality and to check its availability. Continue the search for the right name in an amateur way. Choose another TLD, top-level domain, in case this is good for your project. Go to a site that offers domains for sale and see if the domain is purchasable. Write a message to the site owner, which data is disclosed thanks to the drWhois “see details” option, so you can agree with them to try to buy the domain name. In this way you will be able to proceed with the registration of the domain even if the verification had detected that it was not free.